Kill Shot - You are a covert special ops soldier ready to play your part in dangerous military attacks and silent assassin missions. With access to powerful guns you will rely on your marksman skills to finish the job. - Over 400 first person shooter missions to complete. - Unforgettable bullet cam kill shot moments. - 30 unique maps and stunning locations. - Unlock powerful upgrades for every weapon. - Spotter - quickly find all enemies. - Slow-Mo - slow down time to line up the perfect Kill Shot. - Armor-Piercing Bullets - if you can hit it, you will kill it. - 4 Leaderboards to challenge your friends. - 50 Achievements to complete and earn in-game rewards. Kill Shot has full resolution support for tablets and large screen phones. ©2015 Hothead Games Inc., Hothead, and Kill Shot are trademarks or registered trademarks of Hothead Games Inc., all rights reserved. 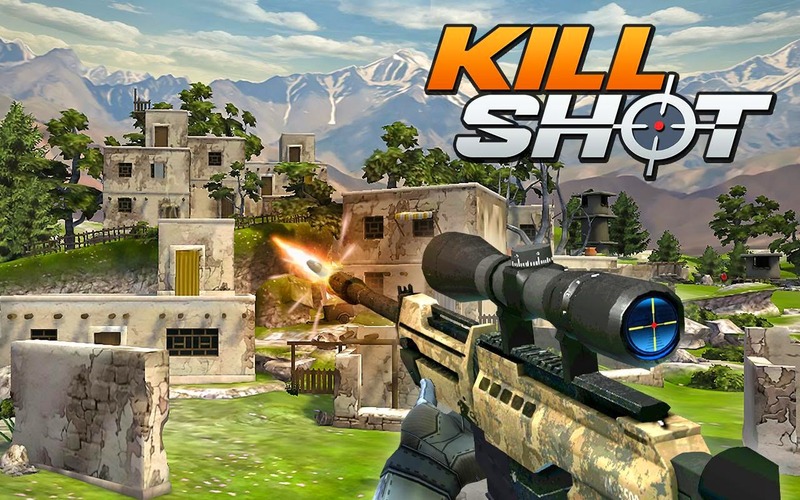 Kill Shot: install APK and play the game!